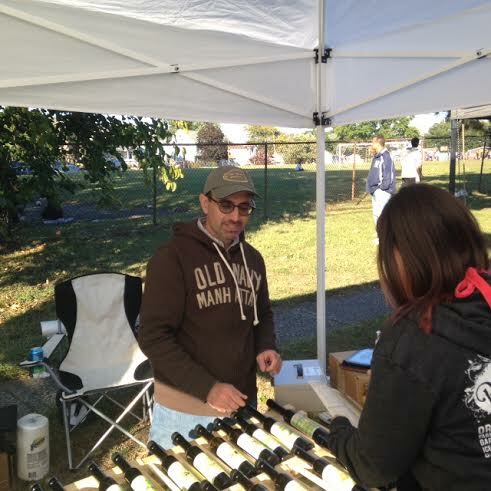 Olive Branch & Grape Vine was rather popular with a constant flow of tasters trying out Paul Karoyan’s olive oils, aged balsamic, specialty oils, and wine vinegars during Sunday’s Street Fair in Saddle Brook, New Jersey. Those tasters were also purchasing and gathering information on Paul’s retail locations at 100 East Main Street in Ramsey and 288 3rd Avenue in Westwood. As we chatted during the day, Paul mentioned using olive oil to lower his cholesterol. When his physician suggested that he take cholesterol lowering medication, Paul being Armenian knew there was an alternative. Mediterranean diet tends toward healthy. His “prescription” was a shot of olive oil every day. Paul’s results speak to the success of his approach. His total cholesterol dropped from 220 to 180. On the flip side, his HDL, the “good” cholesterol rose from 45 to 76, a desired outcome. Offerings at Olive Branch & Grape Vine include traditional first cold pressed extra virgin olive oils, flavored olive oils, extra virgin avocado oil, aged balsamic, grape seed oil spray, and wine vinegars. Gift baskets are available.